MI SUEÑO DE PUEBLO VERDE es una pesadilla! My Green Village Dream Is Now A Nightmare! No news is not good news. On another note I tried to open Financials posted on Capcana’s website, each time my internet connection went awry. Has anyone been able to see these “financials” from Capcana? The question is, “Where did OMG stay??????? ?” Did they pitch a tent? Were they squatters in an abandoned partially finished villa? For photos of the real Green Village just look at our other posts and pages. If you check out OMG’s photos you will know that NONE of these pictures were taken at Green Village. Furthermore, they are only people in each photo. Can you really party by yourself in an empty restaurant? NOW FOR THE TRUE STORY OF CAPCANA!!! The below is an excerpt of a review from Trip Advisor. When is Capcana management going to get its act together? If they completed their Green Village commitments, other investors would begin their projects. How many businesses did they lie to with visions of thousands of high paying vacationers? Meanwhile they still party at their private Beach Club with our lost money. There were very few guests at the Lodge during our 3 day stay. It was erie walking around this modern resort with almost nobody there! The $75.00/day “tax” on the room was not revealed until checkout. The single restaurant had reasonable food, but the breakfast buffet (all non-inclusive) was expensive. The facilities were new and well designed, but there are no lights coming from the windows at night. It needs a beach and shops. Maybe in a few years it will attract more guests, but until then find another all inclusive resort. Yes, with no media coverage or communication from Capcana ownership, these 5 star blue chip names associated with the Capcana development are long gone. These name brands were instrumental in the marketing of Capcana and decision making by owners in purchasing properties. Wyndham was planned as the managing agent for the property rentals in Green Village. The Trump name was used to sell multimillion dollar lots on the Farrillon. Ritz Carlton was suppose to build a first class hotel and casino on the beach near Secrets Sanctuary. Were these big players driven off by the economy (as Capcana management would like you to believe)? Or were they driven off by the mismanagements and misdealings of Capcana management and ownership? These corporations allowed their names to be used as selling points. How and if any consequences did they suffer by leaving? One thing that is true – the investments made by the property owners and bond holders continue to suffer. How much of the actual Capcana owners personal resources were used to fund the Capcana development, meanwhile they pocketed millions of dollars in profits, and allowed the development to disintegrate. You can only keep a secret from the media for so long. Many of the founders are from the finest families in Santo Domingo. The financial crisis at Capcana will have a significant impact on their investments. Don’t be uninformed. 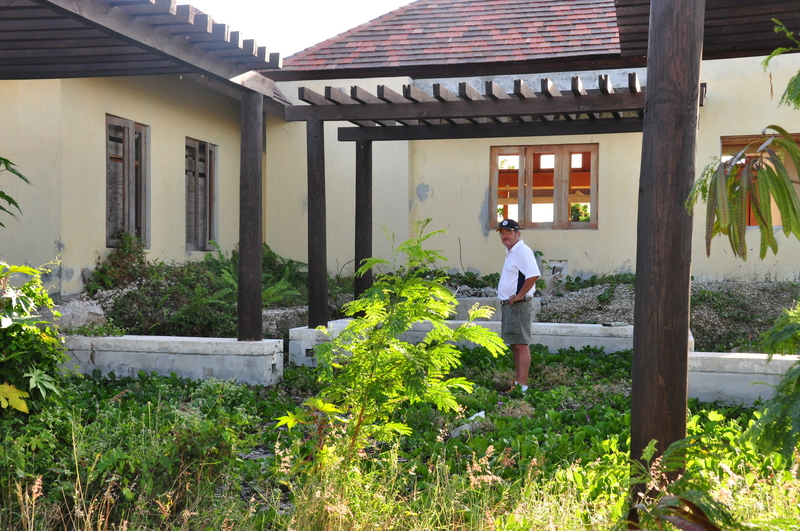 Click on thishttp://www.dominicancentral.com/newsarticle/cap_cana_dream_villas_left_to_rot/ link. Is the entire CapCana Development in a Free Fall? Capcana’s Green Village financial collapse may only be a symptom of the large scale failure of the Capcana development. During my visit there were only two restaurants and one swim suit shop open at the marina. The marina is a ghost town. There are numerous stores that remain boarded up, as a result of the start up businesses not making any money. A quick look at the beach club easily demonstrates the lack of maintenance, repainting, replacement, and cleaning necessary to maintain it as a first class facility. The second Jack Nicklaus golf course is going to seed, with no restart date in sight. The plans for first class hotel facilities and casinos also have no start dates. Construction on private residences has stopped leaving huge carcasses. When I played golf at Punta Espada they only had 38 golfers on that day. When the Capcana owners say they have no money for completion of the Green Village project, the real question is: Do they have any financial resources to complete anything in Capcana? If you are a bond holder would you trust the current Capcana ownership to keep their word based on their previous performance and their lack of management abilities. Lets check my math – 80 Bunglows at $800K plus 160 villas at $440K equals $134 million dollars. YES, Capcana built two offices that they didn’t need. Partially built 240 villas (without finishing many), instatlled underground utilities throughout the Green Village, but shouldn’t there be lots of money left? I am told that the owners and the Founders remain very, very, very rich, and the owners received financing from the bond holders. Did You Buy in Capcana’s Green Village and Get Screwed? We did. Then when we try to visit and ask for special “owner” rates to see the status of our property we are quoted rates that are readily available on the internet.